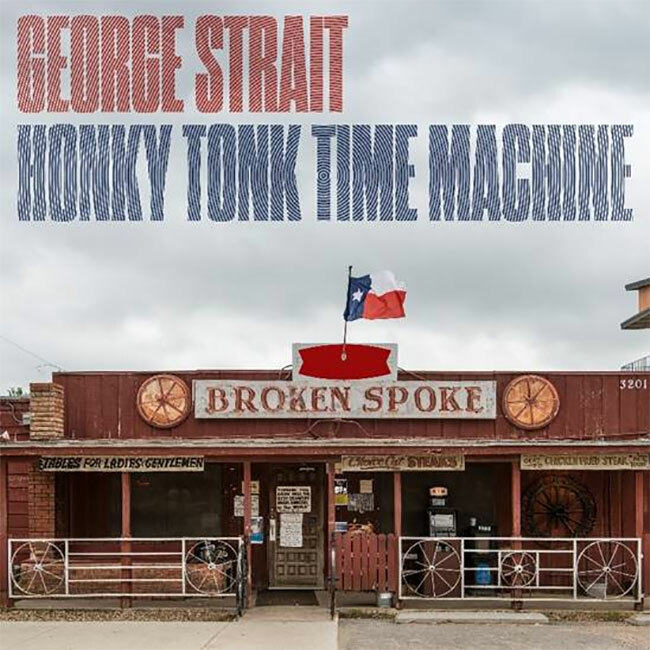 Iconic entertainer and King of Country Music George Strait has announced his brand-new album Honky Tonk Time Machine due out Friday, March 29th on MCA Nashville. Comprised of 12 original titles plus Strait’s version of the Johnny Paycheck classic “Old Violin,” Honky Tonk Time Machine marks an incredible 30th career studio album for Strait. Strait, who produced the album alongside Chuck Ainlay, wrote eight of the 13 tracks including “Sing One with Willie” featuring Willie Nelson that the pair happily debuted at a recent Nashville show marking the first time the two country icons have ever shared the stage. “God and Country Music,” written by Luke Laird, Barry Dean and Lori McKenna, introduces a very special vocal guest, Strait’s grandson, Harvey Strait. The song, along with the album’s premiere single “Código,” are available with pre-orders. This weekend, the Country Music Hall of Famer will play his 21st and 22nd sold-out shows at T-Mobile Arena in Las Vegas. The Strait to Vegas series began with six shows in 2016 and extended with ten more in 2017. In 2018, Strait headlined Bayou Country Superfest to a sold-out Mercedes-Benz Superdome crowd in New Orleans, Louisiana, two nights in Tulsa, Oklahoma and one night in Austin, Texas. This year, fans can catch Strait at Mercedes-Benz Stadium in Atlanta on March 30th, Ohio Stadium in Columbus, Ohio on June 8th, two additional engagements of Strait to Vegas at T-Mobile Arena in Las Vegas on August 23rd and 24th and Dickies Arena in Fort Worth, Texas on November 22nd and, due to overwhelming demand, has added a second show on November 23rd with tickets going on sale Friday, February 8th at ticketmaster.com.